HITE Collection presents Klingsor’s Last Summer as exhibition running through the second half of 2015. Five artists and a duo, Heeseung Chung, Suki Seokyeong Kang, Young Eun Kim, Eunu Lee, Hyungji Park and RohwaJeong participate with works ranging in painting, photography, video, sound and installation. Regardless of their differing media and interests, the artists share the subtle sense and sharp sensitivity as contents of their works. This exhibition suggests a viewing experience with focus on the artists’ and works’ typically sensory and sensitive aspects to examine the possibility of contemporary art that is not loaded with unintelligible pedantic concepts. Since the appearance of conceptual art in the late 20th century, contemporary art has been somehow configured by the frameset. Indeed, we can almost always filter the contents through given conceptual framings, or even project specific tendencies onto any practice so to make it plausible. Thus we often face the dilemma whether to resist against or easily surrender to rather pedantically conceptualist statements. Dealing with it, contemporary art often suffers from criticism that it is not comprehensible enough, which we cannot but admit, at least partially. And most of the visitors don’t engage themselves deeper than checking up the contextual background of a work, rather than letting oneself immerse in the experience. This is a sad type of involvement, ceasing at an analysis of a few mere seconds to digest the information instantly. Is the concentration to the perception of an exhibition itself ever possible for us? What are the triggers that facilitate our perceptive absorption to the work? This exhibition is an attempt to answer the questions, wishing for active moments of grasping clues and flows in the narrative of the exhibition, while fully sensing it. There were always an intrinsic or extrinsic motivation for each work by the participating artists, who constantly reflect the phenomena in the world as well as external influences, while rendering them into the works through their own meticulous sense and sensitivity. Brief work description on each work will follow as below, yet it also might turn out to be nothing but a tedious articulation. Thus we hope for an autonomous activation of interest on site, through individual relations to the works. Heeseung Chung places images in new contexts rather than focusing on presenting independent piece of art at the exhibition space. Through the process of editing where she organically manipulates and constructs the connection and flow of different images, the scale and arrangement of objects are precisely defined. The series of photography presented in the exhibition consists of images of stray cats, a nursing mother’s tender breast, cacti, a hand and feet of a girl in puberty and vertically raised water waves. In these photographs, images that the artist captured from both outside world and personal sphere are joined together. The clash and mergence of images accurately constructed by the artist extend their meanings to the negative spaces of the image, namely to its denotation. Suki Seokyeong Kang’s practice locates within the oscillation between painting and installation, language and sound as well as body and text. She numerously overlays complementary colors onto the canvas firstly covered with mulberry paper, where rhythmic snap movements of her brush strokes lead us to the contemplation of her physical actions and the spent time in the action. She configures sections on her canvas according to the formalistic aspects of Jeongganbo, which is a method of notating music from the 15th century. As like in Jeongganbo, where the length and pitch of a tone is marked in grids, to Kang the act of deciding the proportion of blanks between her canvas and frame means a process of integrating to the outside as well as a frame to capture the world. This frame, named as 井(Jeong) by Kang, vary from painting to installation while functioning as a space for the physical movement and a structure for text projection. When Young Eun Kim considers about voice, among other qualities of it, she focuses on the corporeality, a factor reminding someone’s bodily presence. For example, when we eavesdrop the voice of an invisible stranger we come to imagine the body as well as the space it is placed as the origin from where the voice is emitted. In this term, voice provides physical and visual information. Since the invention of phonograph by Thomas A. Edison, voice has been studied with focus on how technology and media can separate it from body. Kim’s works repositions the voice that had been isolated back to the physical body and space through certain connections. For this, she deletes the sung lyric and tones from conventional pop songs to collect the improvised vocal that were not guided by notes. Then they get hidden behind architectural characters that preexisted in the given space such as doors and walls, or within a closet. Kim entitles the series Halo Composition (2015), with the composing method of arranging voices with particular rhythms and textures placed within a specific space. Eunu Lee decontextualizes daily objects such as furniture and molding from their original background and definitions. Lee observes their process of their manufacture and circulation before becoming a functional object as a social convention, to finally apply it to objects of actually disparate characters. For example, she uses moldings that are ready-made for interior design as her material for constructing a column, or decides the dimension of the object directly selecting from the industrial standards of MDF production and matching it to the conventional measurements of the given space. She also throws light to how architecture, fashion, design and etc. – namely the fields that define the environment and style of our life ­– has been attentive to the surface of minimalism. Mimicking how these approaches appropriated the minimalist legacy, Lee presents a new production, an FRP object that directly refers to minimalism. Hyungji Park presents her video Untitled (2014) produced in Yangon, Myanmar as well as new paintings about the experiences of cherry blossom viewing. The video started from reflections on the process of destroying failed pieces of painting, where her effort of destruction of a work appears equally remarkable as the process of producing it. The cherry blossom viewing series evolve around the leisure time spent within cityscapes, whose representation constantly persists as complex and ambiguous images rather than as concrete ones. Park determines her painting phases through a chain of decisions for painted colors, shapes of her brush strokes and the apparent figures, until the painting will start to develop its autonomous logic. RohwaJeong present three videos Grow up (2009), Self-portrait (2013) Untitled (folk) (2013) accompanied by Untitled (Space Drawing) (2015), a site-specific installation with masking tape. The videos initiated as attempts to depict the mirroring relationship between Yunhee Noh and Hyunseok Jeong, the two members of the duo. At the same time, they suggest two connected dots becoming a line, like how lines can draw surfaces. This indicates the metaphor of the start of a society and net of relations. While discovering the gaps in system from observations of mundane things, they believe in the experience of numerous foolish deeds, which makes one a grown-up person. Yet simultaneously, RohwaJeong remind us that every now and then, the power of a youthful belief or logic can be actually more valid than projections of adulthood. The title of the exhibition comes from Hermann Hesse’s novel of the same title, Klingsor’s Last Summer (1919). Klingsor, the protagonist, is a passionate painter who loves poetry, painting and life, whose idea of the real and the imagined becomes less and less distinctive, as he immerses himself in painting and his own internal world. Hesse described Klingsor’s intense last summer through his ardent writing; following the lines we arrive in front of the self-portrait which Klingsor painted in the novel. We hope that this exhibition could be read through the viewers’ active and vivid imaginations, similar to the experience of reading a novel. 하이트컬렉션은 2015년 하반기 전시로 《클링조어의 마지막 여름》을 개최한다. 이 전시에는 강서경, 김영은, 로와정, 박형지, 이은우, 정희승(이상 6인/팀)이 참여하여, 회화, 사진, 영상, 사운드, 설치 등 다양한 장르의 작업들을 선보인다. 참여작가들은 개별적인 관심사에 의해 작업의 소재를 선택하지만, 대체로 언어화하기 까다로운 섬세한 감각과 예민한 감성을 작품에 담고 있다는 점에서 공통점을 가진다. 이번 전시는 미술작품을 대면할 때 작가 및 작품이 지니고 있는 특유의 감각적, 감성적 측면을 우선적으로 살펴보기를 강조하며, 현대미술이 현학적인 언사로 무장하지 않았을 때 우리들에게 어떻게 다가올 수 있는지 실험해보고자 한다. 20세기 후반, 개념미술이 등장한 이래로 현대미술은 개념의 덫을 피하기란 거의 불가능하게 되었다. 사실상 개념이 배제된 미술을 찾기가 어려워졌으며 오히려 어떤 미술도 그럴싸한 개념으로 포장이 가능한 상황이다. 때문에 동시대 미술은 현학적인 언사로 스스로를 중무장하는 것에 대한 유혹을 떨쳐내기가 어렵다. 이로 인해, 일정 부분은 사실이기도 한, 현대미술은 난해하다는 선입견이 더욱 공고해진다. 그리고 전시장을 방문한 관람객들의 작품 감상은 작품을 대면하면서 스스로 느끼기보다는 작품의 지적인 배경을 확인하는 것에 그치고 만다. 이는 짧게는 단 몇 초 만에 이루어지는 인스턴트식 정보 확인에 그치는 작품 감상의 우울한 행태이다. 그러나 우리는 좀더 작품 감상 자체에 집중할 수는 없을까? 그 몰입으로 들어가는 고비를 넘기는 것이 정말 힘든 일일까? 이번 전시는 관람객들이 전시라는 이야기에 빠져들어 스스로 작품을 감각할 수 있는 단서와 흐름을 파악하고 능동적으로 감상하기를 희망하며 기획되었다. 참여작가들의 작품에는 제각기 작업의 출발점이 되는 내적인 또는 외적인 동인이 있는데, 이들은 외부 세계로부터의 자극과 영향에 끊임없이 반응하면서 동시에 자신들의 섬세한 감성과 예민한 감각을 작품 속에 직간접적으로 드러낸다. 아래에 참여작가들과 출품작에 대한 간략한 소개를 덧붙이지만, 이 소개글조차 장황한 언사에 불과할 수 있다. 따라서 무엇보다도 전시 현장에서 관람객 스스로 작품을 감상하고 감각할 수 있기를 기대한다. 강서경의 작업은 회화와 설치, 언어와 소리, 신체와 텍스트를 오가는 순환 속에서 자리한다. 장지를 씌운 캔버스에 보색의 색채를 겹겹이 쌓아 올린 그의 회화는 경쾌한 스냅의 붓질을 반복하고 있는데 작가의 신체적 움직임과 그 시간을 가늠케 한다. 그는 조선시대 기보법인 정간보(井間譜)의 형식을 빌어 캔버스 프레임을 구획하는데, 정간보가 켜켜이 칸을 나누어 음의 길이와 높이를 나타내는 것처럼 강서경에게 캔버스와 프레임 사이의 여백과 그 비율을 결정하는 행위는 외부 세계와의 공존을 결정하는 행위이자 세계를 받아들이는 틀이 된다. 그가 <정(井)>이라 명명한 이 프레임은 회화에서 설치로 변주하기도 하고, 신체의 움직임을 담는 공간이자 텍스트가 투영되는 틀로 기능한다. 김영은은 목소리가 가진 여러 성질 중에서 누군가의 존재감과 그 몸을 떠올리게 하는 유형성(corporeality)에 대해 생각한다. 목소리는, 보이지 않는 누군가의 목소리를 엿들었을 때 소리를 통해 그 근원으로써의 육체와 그가 위치한 공간을 떠올리게 된다는 점에서 물질적이고 시각적인 정보를 제공한다. 에디슨의 축음기 발명 이래 목소리는 이를 육체에서 분리하는 기술과 매체를 중심으로 연구되어 왔다. 김영은의 작업은 이미 몸으로부터 분리된 목소리를 육체와 공간에 나름의 연결고리를 가지고 재위치 시킨다. 이를 위해 기존의 팝송에서 가사부분과 음정부분을 지운 나머지 목소리, 즉 악보상에는 표시되지 않는 가수의 즉흥적인 목소리들을 모은다. 그리고 이들을 주어진 공간 속에 본래 있었던 구조물(문 뒤나 환풍기 속, 벽 뒤, 벽장 안 등) 안에 숨기거나 최소한의 건축적 요소를 지닌 구조물 안에 숨긴다. 이렇게 공간 안에 각각의 고유한 리듬과 질감을 가진 목소리들을 배치하는 작곡 방식을 김영은은 <후광 컴포지션(Halo Composition)>(2015)이라 일컫기로 한다. 로와정은 <그로우 업(Grow up)>(2009), <셀프-포트레이트(Self-portrait)>(2013), <무제 Untitled (folk)>(2013)이렇게 세 편의 영상과 마스킹 테이프를 이용한 장소특정적 작업인 <무제 Untitled(Space Drawing)>(2015)을 선보인다. 세 편의 영상은 거울을 보고 있는 듯한 로와정 두 사람 간의 관계에서 출발하는 것이기도 하지만, 두 점을 이으면 선이 되고, 이 선이 만나서 면을 이루듯 사회와 관계망의 출발에 대한 은유이다. 또한 주변의 사소한 것들에서 사회의 빈틈을 발견하곤 하는 로와정은 누구나 수많은 헛짓들이 점철된 성장기를 지나서야 성인이 된다고 본다. 그러나 때로는 성인의 잣대보다 어린 시절의 믿음과 논리가 더 훌륭할 수 있음을 상기시키고자 한다. 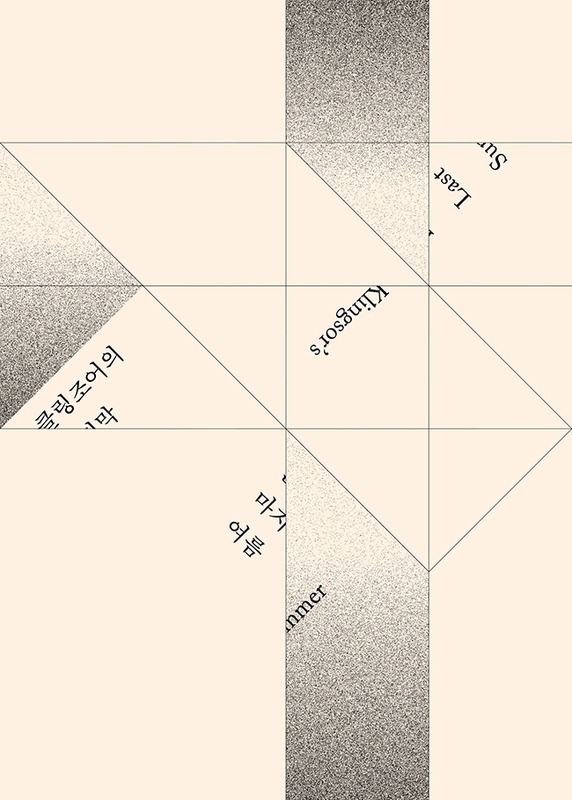 박형지는 2014년 미얀마 양곤에 머물며 제작한 영상 <무제>(2014)와 벚꽃놀이를 주제로 한 신작들을 선보인다. 미얀마 작업은 실패한 그림의 폐기 과정에 대한 상념에서 출발했는데, 창작 과정에 들인 시간과 정성만큼 폐기 과정에도 공을 들이는 작가의 수고를 엿볼 수 있다. 벚꽃놀이 연작은 도회적인 공간에서 벌어지는 여가를 소재로 한 것인데, 이러한 여가의 모습이 작가의 머리 속에서는 구체적인 장면이 아니라 복합적이고 모호한 이미지로 존재한다. 그는 자신의 그림 안에서 어떤 논리가 구축될 때까지 끊임없이 물감의 색채, 붓질의 형태, 형상을 결정하면서 회화의 단계를 일궈나가는데, 그럼으로써 마침내 처음 머리 속에 가지고 있던 이미지와 조우하고자 한다. 이은우는 가구, 몰딩 등 일상 사물을 그것이 일상적으로 자리하던 맥락이나 의미에서 탈맥락화 시켜서 오히려 기능적 사물이 되기 이전에 산업 재료로써 제작, 유통되는 과정을 일종의 관습으로 보고 이를 다른 성질의 사물과 결합시킨다. 예컨대 인테리어용 기성품 몰딩을 그대로 이용해 기둥 형상을 만들거나, MDF가 생산되는 표준 규격을 그대로 따른 채 공간의 관습적인 치수에 맞춰 오브제의 크기를 결정하는 식이다. 또한 그는 건축, 패션, 디자인 등 우리의 일상을 형성하는 영역들이 미니멀리즘을 표면적으로 차용해온 방식을 주목하면서 이들이 미니멀리즘을 재생산한 방식처럼 자신도 미니멀리즘을 차용하여 FRP로 제작한 신작 오브제를 선보인다. 정희승은 전시 공간에서 단독적으로 존재하는 이미지보다는 이미지들 간의 연결과 흐름을 유기적으로 조정하고 구축하는 에디팅의 과정을 통해서 새로운 문맥 위에 놓이게 되는 이미지를 만들고자 한다. 이 과정에서 대상의 스케일과 배치가 세심하게 결정된다. 이번 전시에 소개되는 일련의 사진은 길에서 마주친 고양이, 모유 수유하는 여성의 부드러운 젖가슴, 선인장, 사춘기가 시작된 소녀의 손, 방향을 전환시킨 거센 물살, 그리고 소녀의 발 사진으로 구성되어 있다. 이는 작가가 외부 세계에서 포착한 이미지와 개인적인 이미지를 교차 결합시킨 것으로, 작가가 정밀하게 구축한 이미지 간의 충돌과 연결은 그 의미망을 이미지의 여백인 외연으로 확장시켜주는 역할을 한다. 한편, 이 전시의 제목은 헤르만 헤세의 동명 소설 『클링조어의 마지막 여름』(1919)에서 따왔다. 소설의 주인공 클링조어는 시와 그림, 그리고 삶을 사랑하는 정열적인 화가로서, 창작에 몰두할수록 자기 내면으로 파고들며 현실과 상상의 경계가 모호해진다. 헤세는 화가 클링조어가 격렬하게 보낸 마지막 여름을 격정적인 문체로 묘사했는데, 행간을 따라가다보면 우리는 어느새 소설 속 클링조어가 그린 자화상을 머릿속에 그려볼 수 있게 된다. 한 편의 소설을 읽는 것처럼 이 전시도 관람객들이 능동적으로 읽고 상상하고 해석할 수 있기를 희망한다.